The application of biotechnology in the food sciences has led to an increase in food production and enhanced the quality and safety of food. Food biotechnology is a dynamic field and the continual progress and advances have not only dealt effectively with issues related to food security but also augmented the nutritional and health aspects of food. Bringing together experts drawn from around the world, the book is a comprehensive reference in the most progressive field of food science and will be of interest to professionals, scientists and academics in the food and biotech industries. 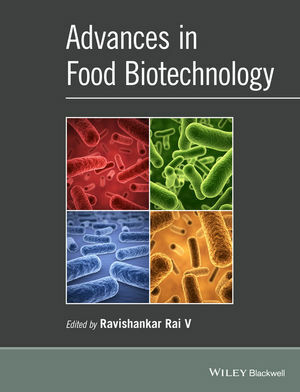 The book will be highly resourceful to governmental research and regulatory agencies and those who are studying and teaching food biotechnology. Dr Ravishankar Rai V is Professor at the Department of Studies in Microbiology, University of Mysore, India. Jamuna Bai Aswathanarayan and Ravishankar Rai V.